In an interview with Australian media, BMW Group vice-president of product management Carsten Groeber confirmed what we’ve known for quite some time now – the new 8 Series family will not get a V12 engine. The 6.0 liter gasoline V12 engine was used recently in the M760Li and it has often been regarded as one of the most fun BMW powerplants to drive on. According to Groeber, the lack of a V12 in the 8 Series has something to do with the perfect weight distribution in the new gran tourer, and using the V12 will mess that up. “V12 is very heavy and we have a very perfect weight distribution with this car. So the package with the V8 with those technologies with the chassis and the drivetrain makes the car a proper sportscar. In our opinion a V12 will be too heavy in the front,” said Groeber. The BMW chief of product also mentioned that a plug-in hybrid version of the 8 Series was unlikely at this point in time. He said that the car is perfectly set up, so there won’t be a need to go hybrid. 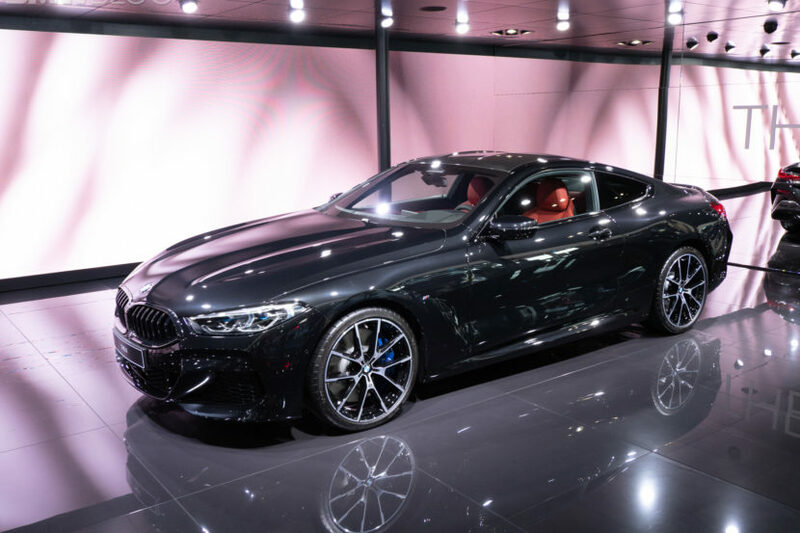 The top offering in the new 8 Series range will be the 4.4 liter V8 engine which makes 523 hp and 553 lb-ft of torque and is mated to an eight-speed automatic, which sends power to a newly revised xDrive all-wheel drive system and a rear-wheel steer system. According to BMW, the M850i can nail 60 mph in 3.6 seconds, which is right on par with other cars in its segment. For instance, the Aston Martin DB11 V8 takes 3.7 seconds with a bit less power, the Mercedes-AMG GT S takes 3.5 seconds and the W12-powered Bentley Continental GT taking 3.3 seconds. So clearly, the performance of the BMW V8 is just as good as some of the higher displacement units found in the competitor models. Also, due to the new WLTP cycle, the V12 is currently not available in any other BMWs, but it might return in the near future.